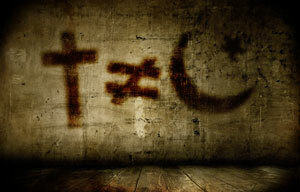 “I am both Muslim and Christian” – HUH?!?!? For the life of us, we can’t figure how this supposed woman of faith can believe this. We certainly cannot believe how she is allowed to teach the New Testament as a visiting assistant professor at Seattle University this fall. “At the most basic level” is Jesus Christ. Who that man is defines each religion. To Christians, Jesus Christ is God incarnate. He is God in the flesh, who walked amongst us. To Muslims, Christ is not God, but a really good prophet, but not as good of a prophet as Mohammad. is disputed by those within the Muslim faith. Not only it is disputed, it is blasphemy within Islam to teach Christ is the only path to heaven. “Who Christ is” is not some minor detail such as being pre-trib, post-trib, or mid-trib. In fact, what most Christian denominations disagree about has nothing to do with the basic tenant of the faith. [Redding] does believe that Jesus died on the cross and was resurrected, and acknowledges those beliefs conflict with the teachings of the Quran. “That’s something I’ll find a challenge the rest of my life,” she said. The two views cannot be reconciled and to dismiss the lack of reconciliation is intellectually, morally, and ethically wrong. Redding’s bishop, the Rt. Rev. Vincent Warner, says he accepts Redding as an Episcopal priest and a Muslim, and that he finds the interfaith possibilities exciting. Another point of view of Redding’s alleged “kumbaya” insight is spewed forth by Ihsan Bagby. Ihsan Bagby, associate professor of Islamic studies at the University of Kentucky, agrees with Webb, and adds that Islam tends to be a little more flexible. Take a look at a list of Islamic terrorist attacks as an illustration of the “flexibility” of Islam. Doug Thorpe, who served on St. Mark’s faith-formation committee with Redding, said he’s trying to understand all the dimensions of her faith choices. But he saw how it deepened her spirituality. And it spurred him to read the Quran and think more deeply about his own faith. To be honest, while we find Redding’s stance to be many things (none of which are good) ultimately it is her life and decision. We can only present the truth and pray for her and those who support her dishonesty to come to the light. A tip of the hat to Pastor Rick of Calvary Chapel, Lima Peru for the link to the original article. I’m still at a loss for words. How can one story be so full of lies as you pointed out. Mr Ayesha Anderson the Islamic center’s programming director must be as lost as Mrs Redding is. You can bet the the martyrs we see crying out in Revelation 6 are not confused about the differences Christianity and Islam. It is really offensive to read what this woman says and that she could possibly be leading a church or class on New Testament studies. You called it right “Wolf in sheep’s clothing”. Who would have thought the one world religion of the book of revelation would be Episcopal combined with Islam? Buried in your psyche is a shadow of a doubt. You’re so open minded that your brains leaked out. Hey man I think we should send this to Miss Redding.